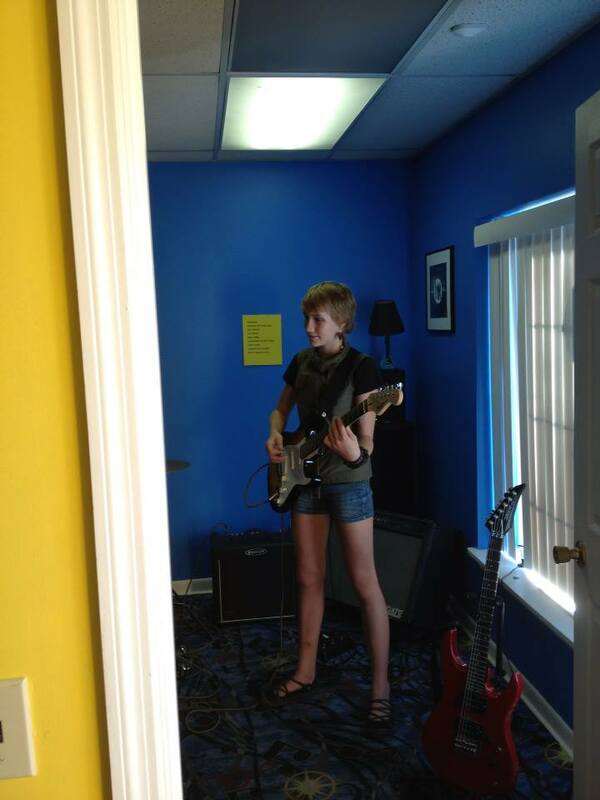 Well, she's not really a rock star, but she did perform in her first rock concert this past weekend. It can sometimes be a challenge when you have 7 kids and they all seem to have amazingly different interests. She got an acoustic guitar a few years ago for Christmas and began taking lessons from a local instructor. It was great for the first year, but then it got boring for her. I contribute much of the boredom to playing boring songs over and over and over again. There was no variety and certainly no goal to strive for in her playing. Last Christmas she got an electric guitar. She really loved it and wanted to learn but her instructor was reluctant. Last spring we decided to quit and look for something with a better fit and that would allow her to expand her desire to play. 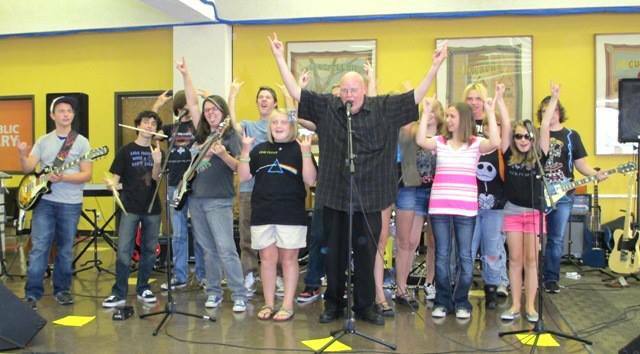 6 weeks ago we found Rock Skool Chattanooga and its instructor/owner Mark Ferguson. 6 weeks ago Indiana met the instructor at an Open House. She was apprehensive and unsure of herself. She left that day excited and just a few days ago she was playing her electric guitar to the well known song "Wild Thing." The Troggs Song. 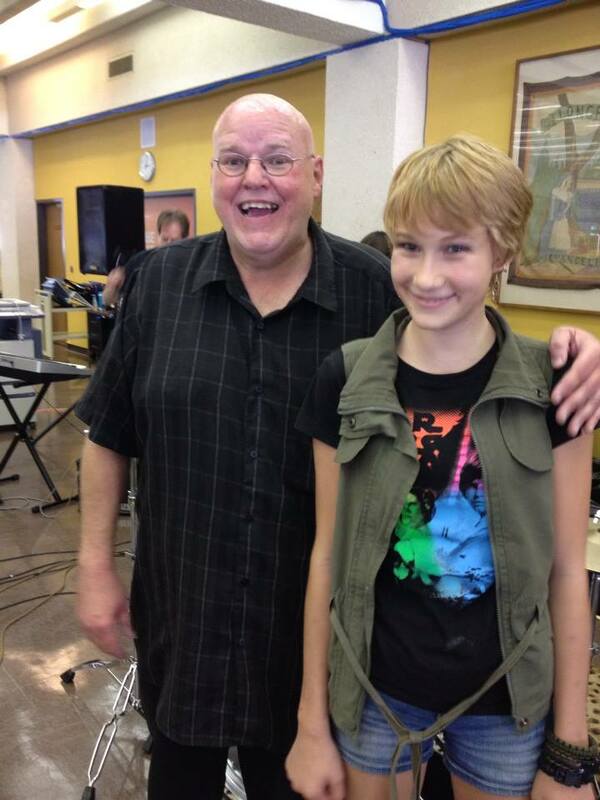 Mark is a fabulous instructor and he also teaches the drums, bass and keyboards! He knows how to get kids excited and motivated! They had a concert at the Teen Center inside the Chattanooga Library. Yes, a LOUD concert in the library! It drew crowds from every floor of the building and by the end people were dancing and clapping. 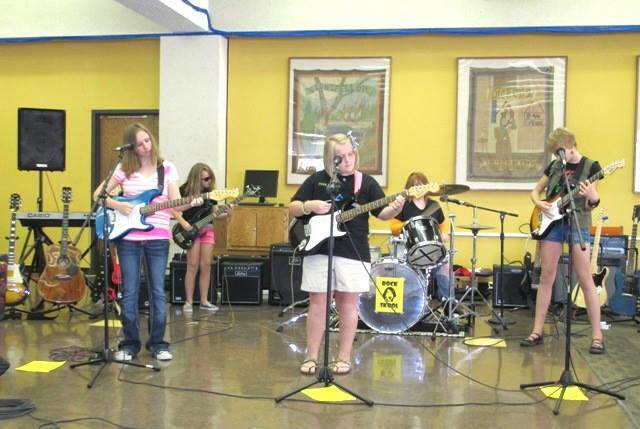 The group of about 15 students played well known rock songs by Black Sabbath, Kiss, Pink Floyd, The Beatles and even Metallica. Oh how I loved those bands when I was a teen. Now, I now there are some in the mostly conservative home school community who would frown on such music being played by a young girl. I know some folks who only let there kids listen to and play classical music or worship music.....of which are also very beautiful. My child, my Indiana likes rock. I liked rock and still do. In fact one of my favorite Pandora channels is Van Halen. I think my child has found a niche for herself and that makes me happy. She certainly found a large chunk of self confidence the last 6 weeks. She has a goal now...to learn new songs for upcoming concerts. She is playing with other kids and learning all that goes into performing together as a band. Yep, she's a rock star. **If you are local and want more information on Rock Skool go check out his website! He has openings for more students. You can also find him on Facebook. I have been nominated by Circle of Moms to be in the Top 25 Moms of Large Families. It is an honor to be included with so many fabulous mothers and bloggers. Will you please send a vote my way? Just look for My Barefoot Farm. I love your parenting. Really! She likes rock! Great! You are letting her be who she is. That is a great parent. That is the way we homeschool as well. I have 5 children and they are all different and have their own likes and dislikes. It can be a challenge to allow them space to be who they are. Especially when you have 'peers' or neighbors that would not approve. I have been reading your blog for a long time. I am in Maine and am too far to be a close friend of yours, but how I wish you and I could swing on my front porch and talk!! I think you are very sweet! You also have a guitarist in your family, right? Every single day I am amazed at the different personalities!